Imagine the federal government forced you to spend $180 to buy an 8-track tape player. Sounds absurd. What could be more useless in the 21st Century than an obsolete Disco-era music machine? But what if our elected officials were a bit more subtle? What if they instead forced you to pay $180 more each year for gasoline that contains an antiquated additive you don’t need, and that could actually worsen air quality? That is exactly what the energy bills moving through Congress propose to do. The Clean Air Act requires that additives known as oxygenates, such as ethanol or MTBE, be added to gasoline sold in areas that have air pollution problems. Oxygenates were thought to reduce vehicle pollution when Congress enacted the requirement in 1990. MTBE, the current additive, is being phased out because it pollutes drinking water, leaving ethanol as the only alternative that satisfies the requirements. Since most ethanol is produced from corn grown in the Midwest, regional congressmen and their agribusiness constituents fervently support the oxygenate mandate, and were responsible for getting it into the Clean Air Act in the first place. Lost in all these political machinations is the decisive scientific evidence that ethanol doesn’t perform as advertised. Both the Environmental Protection Agency and the National Academy of Sciences have issued reports showing that adding ethanol to gasoline will at best have no effect on air quality and could even make it worse. Studies show ethanol could even increase emissions of nitrogen oxides and volatile organic compounds, which are major ingredients of smog. 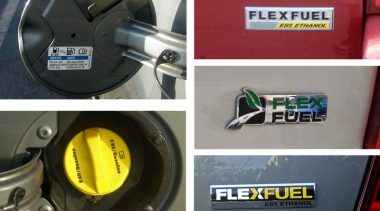 What’s more, adding ethanol costs about five cents extra per gallon and will reduce fuel economy by about 3 percent, for an effective cost increase of 10 cents per gallon. For the average family of four this will amount to about $180 per year – say goodbye to a nice chunk of your tax cut. And if ethanol demand outstrips supply, as many energy analysts predict, motorists could suffer much bigger price increases, as much as 50 cents a gallon according to some estimates. Despite the scientific case against the oxygenate mandate, House and Senate energy bills include provisions to replace MTBE with ethanol. Perhaps Midwestern farmers and their powerful congressmen are too important to cross. But without a compelling policy goal, this is no longer a fight between saving money and saving the environment. Instead, the oxygenate mandate now boils down to this: agriculture interests want to make money, and they’ve gotten the federal government to force the rest of us to fork over cash for a product we don’t need. While oxygenates provide no environmental benefits, there are many positive ways to improve the environment that don’t create unnecessary burdens for consumers. A growing number of states have experimented with innovative clean air programs that offer compliance assistance to small businesses and incentives to larger industrial facilities to achieve environmental gains beyond the minimum levels required by law. More and more states are rejecting cookie-cutter approaches and implementing their own more flexible and more carefully tailored environmental strategies. If President Bush and members of Congress are genuinely concerned about improving air quality, they should continue to require states to meet the goals of the Clean Air Act, but give them the freedom to find the most effective ways of getting there. President Bush has said that his administration “will ask not only what is legal, but also what is right – not just what the lawyers allow, but what the public deserves.” Apparently, he thinks the public deserves to be forced to buy products they don’t need for the benefit of powerful business interests. Since the President hasn’t been able to stand up to the ethanol coalition and do what is right, hopefully the courts can.